Phantom Cardboard: I Hate This Stupid Bike! Ah, yes. Daniels's primary mode of transportation that was ruined when Johnny and co. taught him a lesson in taking a fall. Luckily Mr. Miyagi was able to restore it to factory condition while Daniel and Lucille were busy figuring out the rules together. 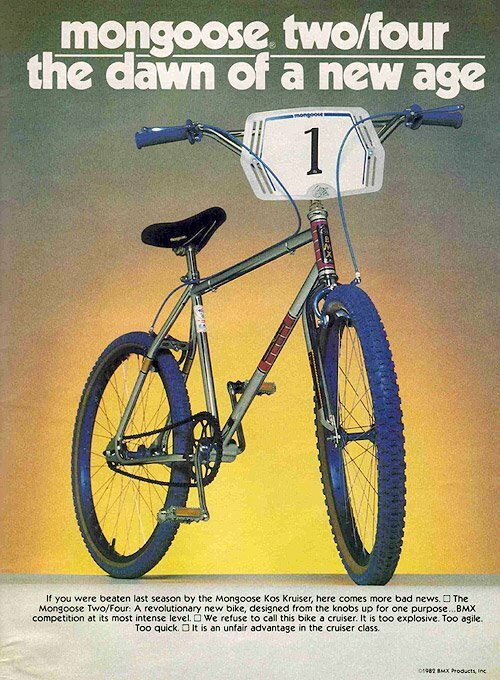 While making my Turbo Kid set that was inspired by the 1984 Donruss BMX card set another famous (to me anyways) BMX bike came to mind... Daniel LaRusso's Mongoose Two/Four errr his Miyagi Turbo! "What kind of bike do you have, Daniel. Honda, Suzuki, what?" "No, it's a Miyagi Turbo, actually." 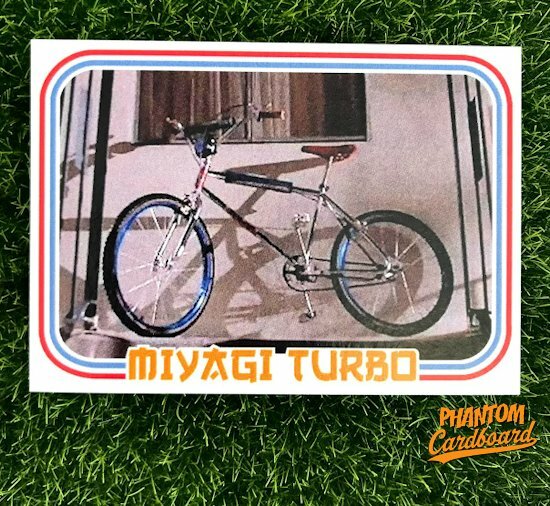 The logo for Miyagi Turbo is just something I threw together with a Asian looking font and used the orange color that Mongoose was using with their text logo at the time.